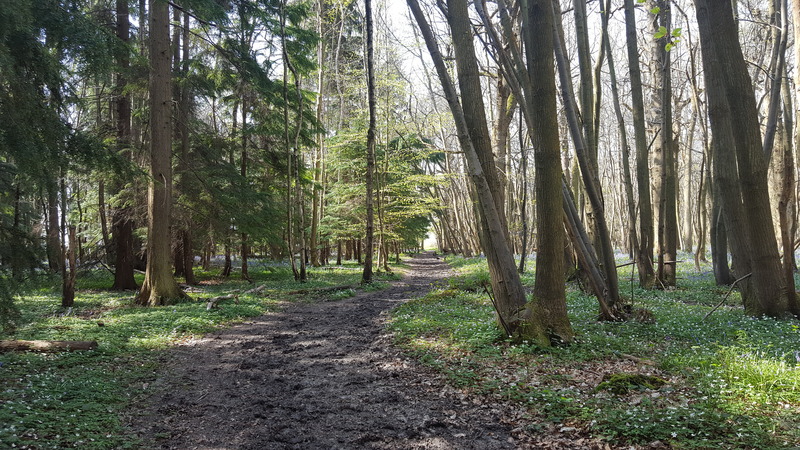 We decided to venture out for a day in Chilham for a bluebell walk which was organised by the RSC (Royal Society of Chemistry). Luckily, we were blessed with a warm, sunny day and arrived an hour early due to my husband’s keenness for punctuality! 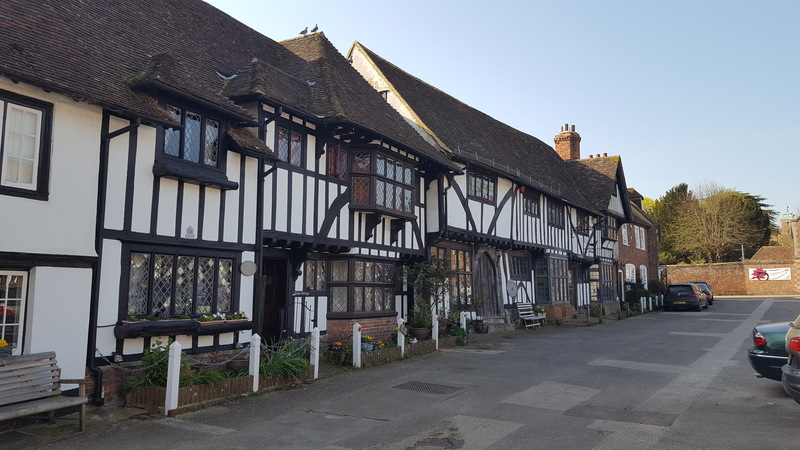 The village is small with a medieval square overlooked by the impressive and imposing Chilham Castle. We wandered around hoping to find a tea shop open for a quick cuppa, but nothing opened until ten o’clock. They maybe missing a business trick here. It didn’t matter, it is wonderful to stroll around and take photos including the Tudor houses and St. Mary’s Church. Everyone arrived and met at Shelly’s tea shop, which was also irritatingly shut, and we introduced ourselves and ventured forth towards King’s Wood. 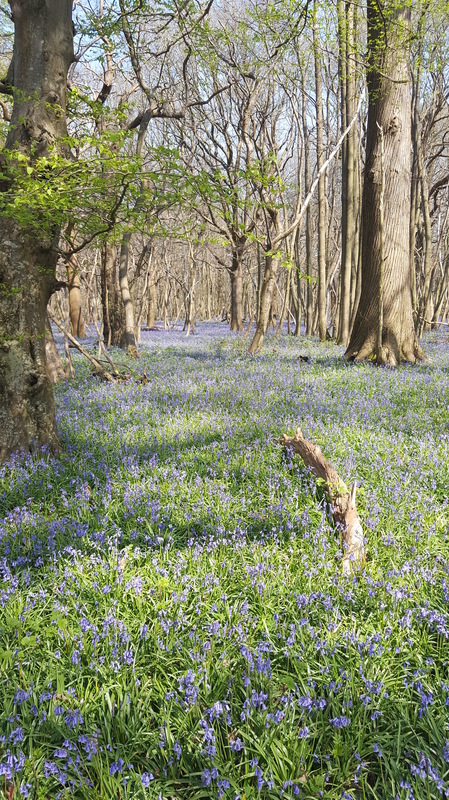 The landscape and woodland around Chilham is truly exquisite and the bluebells just seem to become more impressive as the walk continued. The walking folks were very friendly and I discussed my interest in health and fitness with a lady called Kate who was into fitness and yoga, and a possible hope to do a charity 10k run in the Autumn. Everyone, was very encouraging, but I’m still considering the challenge because trust me, it will be a massive task for me. The walk was fun and it is always interesting to chat to new people and hear their take on life. 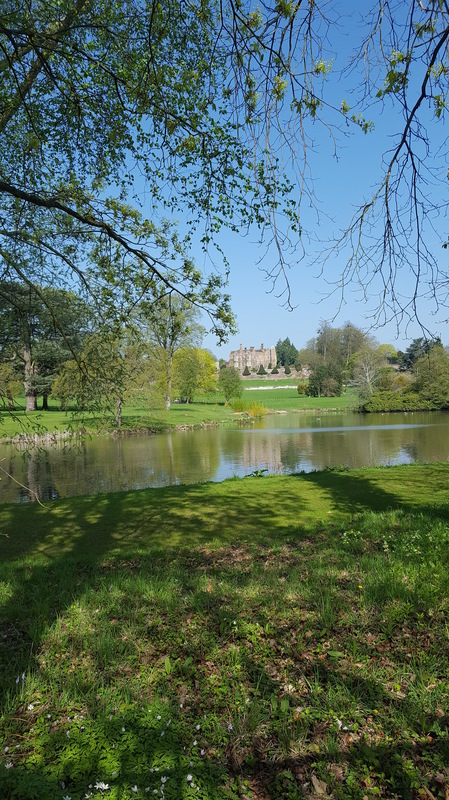 The views are incredible around Chilham and I’m sure the castle is well worth a visit too. 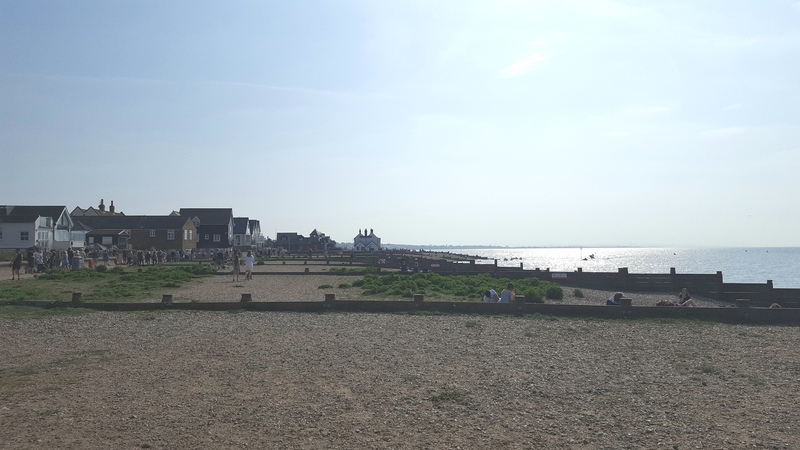 After we had our lunch, we drove to Whitstable and after eventually parking the car, we wandered along the sea front. My goodness, it was busy. Apparently, this is where London people go to at the weekend. In other words, it has become the trendy place to visit. It shows too. All the old huts and houses have been painted and refurbished and of course, the property prices have, no doubt, shot up. To be fair, it is a great place to visit with the selection of arty galleries, shops, (micro) pubs, restaurants, etc. We have decided to come back on a week day to explore properly and hopefully it won’t be quite so busy. 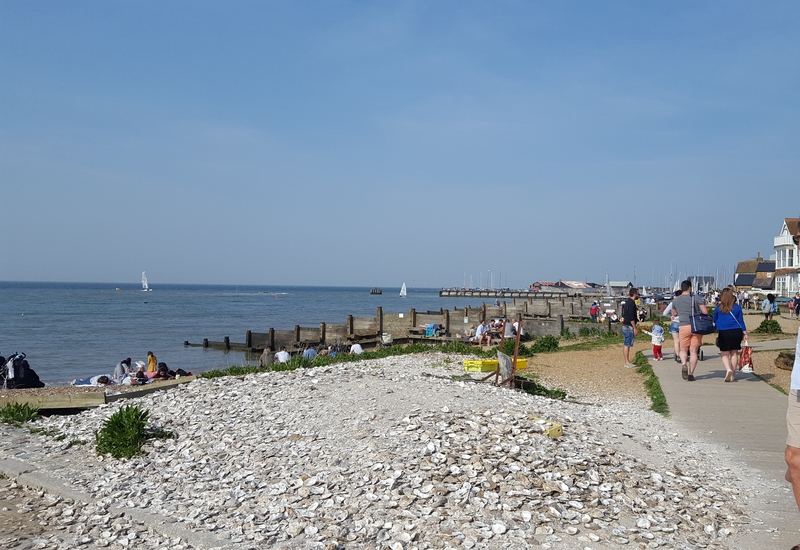 All in all a fabulous day out and I can’t wait to go back to Chilham and Whitstable. 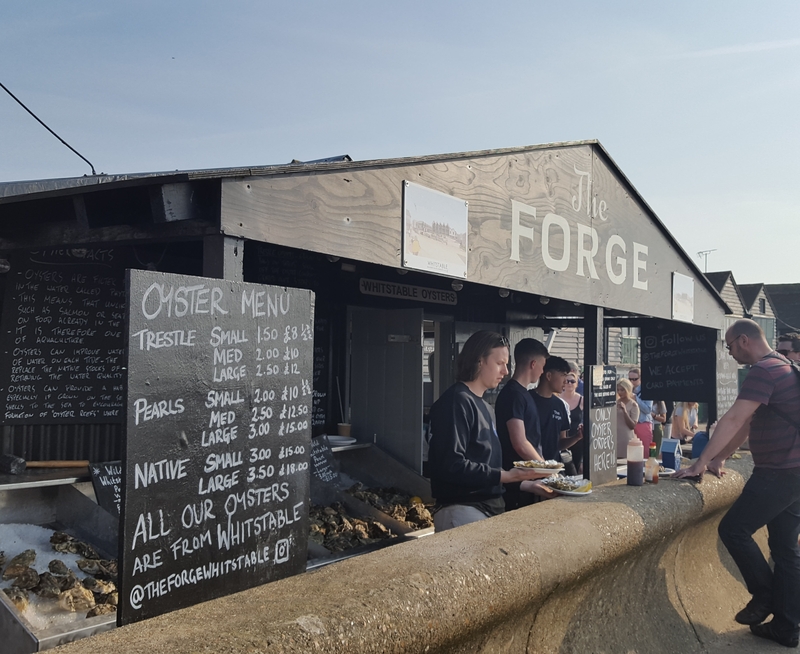 A nice post Andrea, describing two lovely Kentish places. I walked up to Chilham with a small group of friends, last June. Two of them were walking the North Downs Way, and myself plus another friend were accompanying them on that particular section. 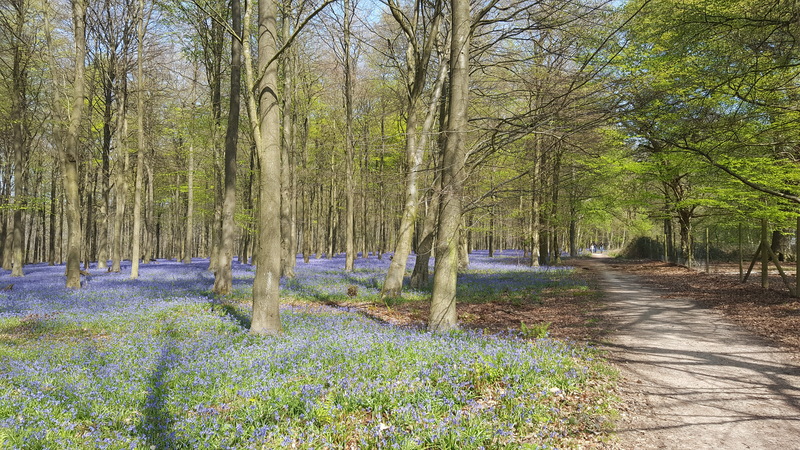 We were too late for the bluebells of course, but the weather was fine and it was a really nice walk. 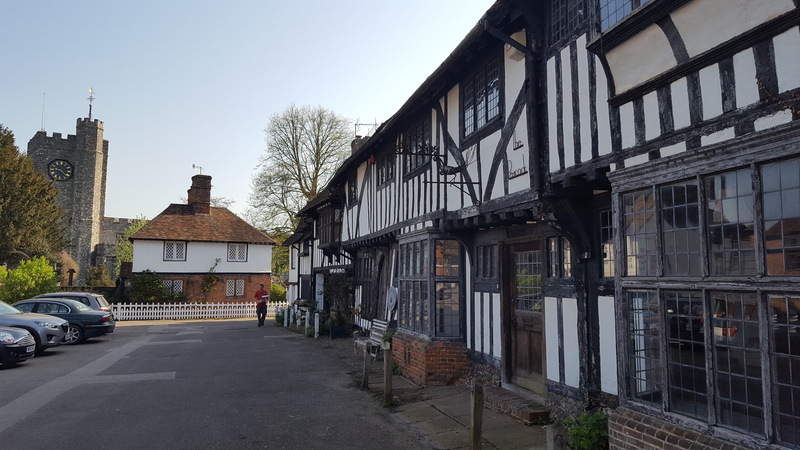 Chilham is a real picture-postcard village, so it seems strange that there were no cafés and shops open; perhaps they wait until later, when the tourist coaches arrive. We stopped for a well earned pint at the White Horse, close to the church, before continuing our walk. I agree with your impressions of Whitstable; a quaint old seaside town, but definitely over-run with Londoner’s. It was like that eight years ago, when I last visited, so I imagine it’s even more so now. Comparisons with Southwold spring to mind! I suppose the influx of visitors does bring a welcome injection of cash to the town, and there is obvious investment in new businesses. The problem comes when wealthy Londoner’s start buying up properties, and using them as second homes, causing a rise in house prices and making them unaffordable for local people. No easy answer of course, as you can’t really stop this happening, and you could argue that the investment and money the newcomers bring, creates jobs for local people and keeps the town looking attractive for visitors. I must make a return visit, but will take your advice, and go mid-week.